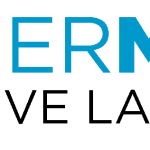 TriggerMesh, a multi-cloud serverless management platform company, has announced the availability of the TriggerMesh Knative Lambda Sources (TriggerMesh KLASS) open source project. The project’s aim is to bridge events from Amazon Web Services (CodeCommit, Cognito, DynamoDB, Kinesis, SNS, SQS, etc.) to functions running on Knative enabled Kubernetes clusters and Knative enabled serverless public cloud infrastructure. 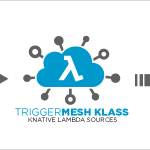 Because TriggerMesh KLASS leverages events services on AWS to trigger functions within Knative/Kubernetes cloud-native developers can create sophisticated cross-cloud applications using simple serverless functions in multiple clouds. This increases development flexibility and provides the best infrastructure for the job at hand while preventing serverless lock-in. This project is the second open source project launched to deliver AWS interoperability with Knative by TriggerMesh. TriggerMesh Knative Lambda Runtimes launched in January provides portability of runtime’s from AWS Lambda to Knative. TriggerMesh will be launching their TriggerMesh cloud service in the near future which will allow users to host serverless functions and consume events from many cloud sources. To join the TriggerMesh Early Adopters program and get access for free serverless hosting for a limited time only please visit – https://cloud.triggermesh.io/. TriggerMesh’s developer team has extensive experience in building public and private clouds and deploying serverless workloads. TriggerMesh’s multicloud serverless management platform allows developers to deploy and manage functions on the TriggerMesh Cloud, public clouds (Amazon Lambda, Google Cloud Functions, Azure Functions, and others) or in their own data center. TriggerMesh’s cross-cloud event bus provides a robust mechanism to trigger functions via events coming from any cloud. TriggerMesh’s developers have extensive experience contributing to open source projects and contribute to upstream projects like Kubernetes and Knative as well as TriggerMesh’s own open source projects. For more information visit: www.triggermesh.com.